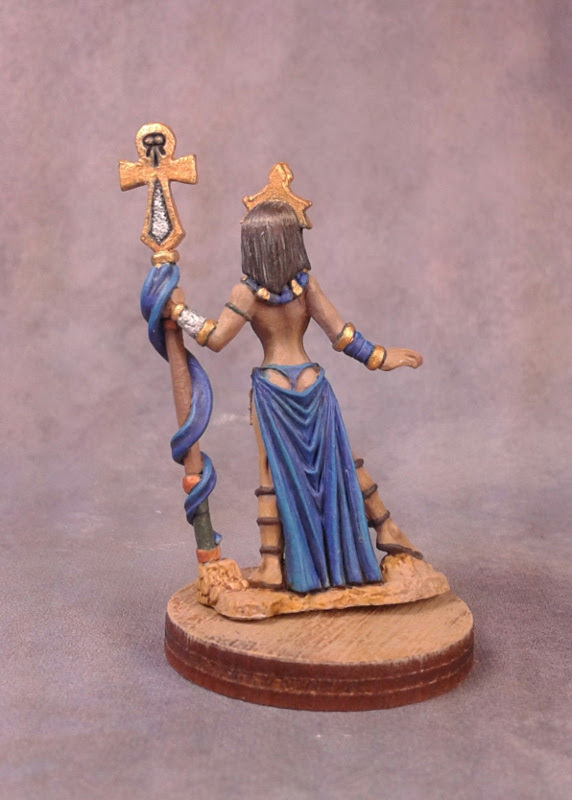 I fished this cute girl out of the Box o’ Goodwill from the Reaper forums, so it’s only right that she make her way back to another forum member as an exchange mini for Secret Sophie 2016. Tricksay wanted to receive “open to anything”; I love when people pick that, because I can just paint whatever I feel like. 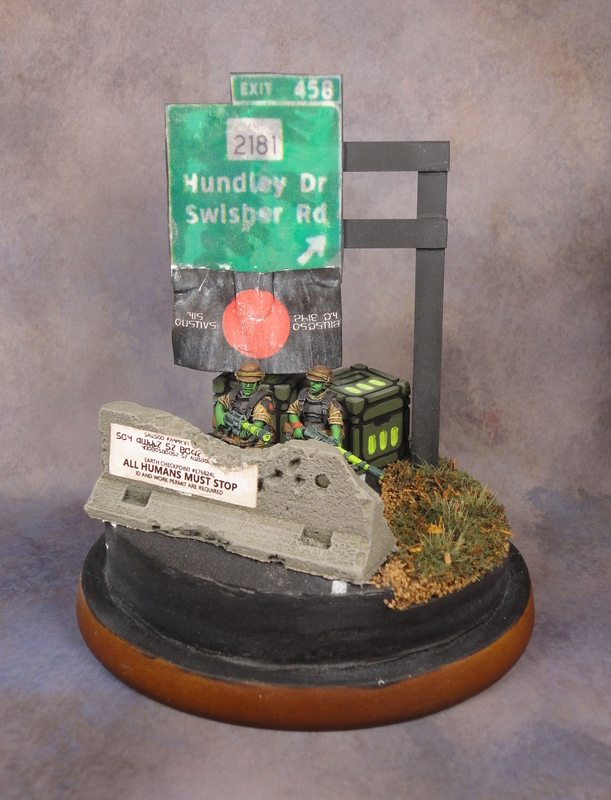 Thanks to Bonwirn for giving me a bunch of Hirst Arts blocks to make the diorama out of. 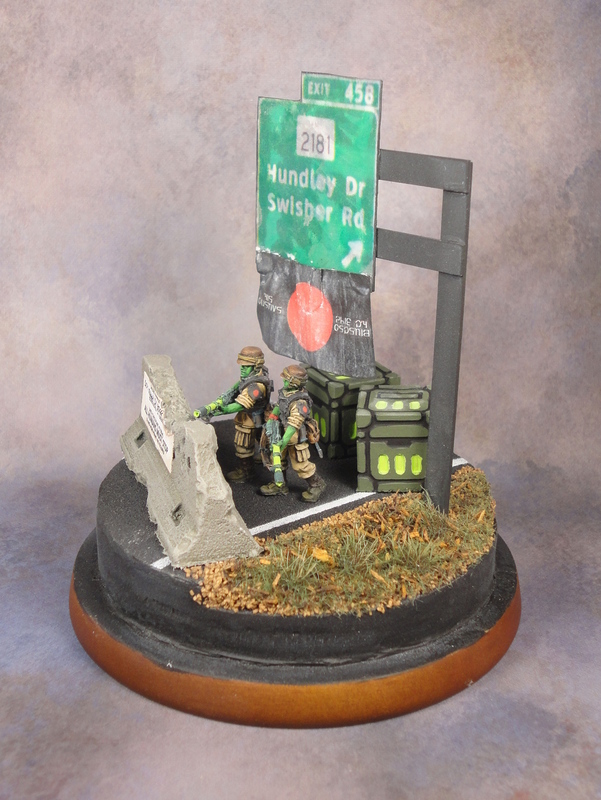 Finished version of my diorama for ReaperCon 2015 entitled “Earth Checkpoint #E76B24L”. 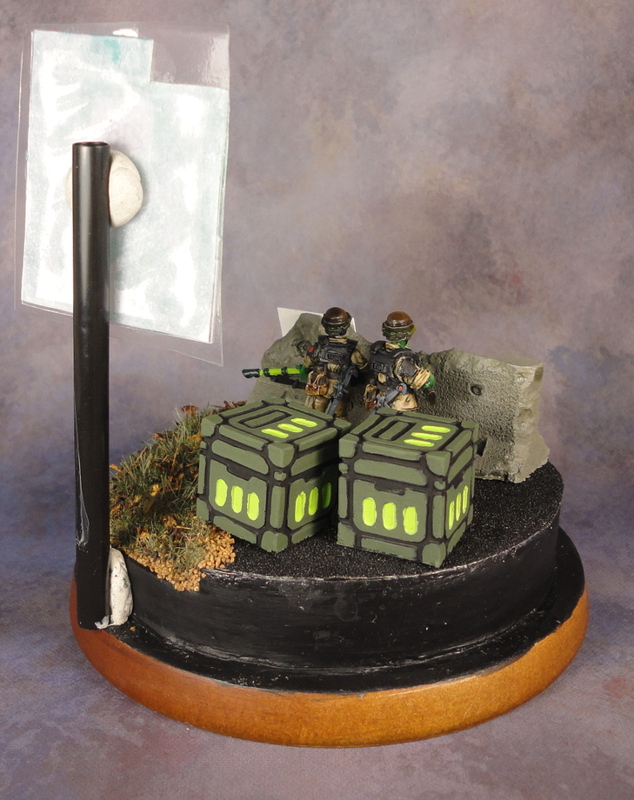 This is the first diorama I’ve created, and I’m reasonably happy with it. 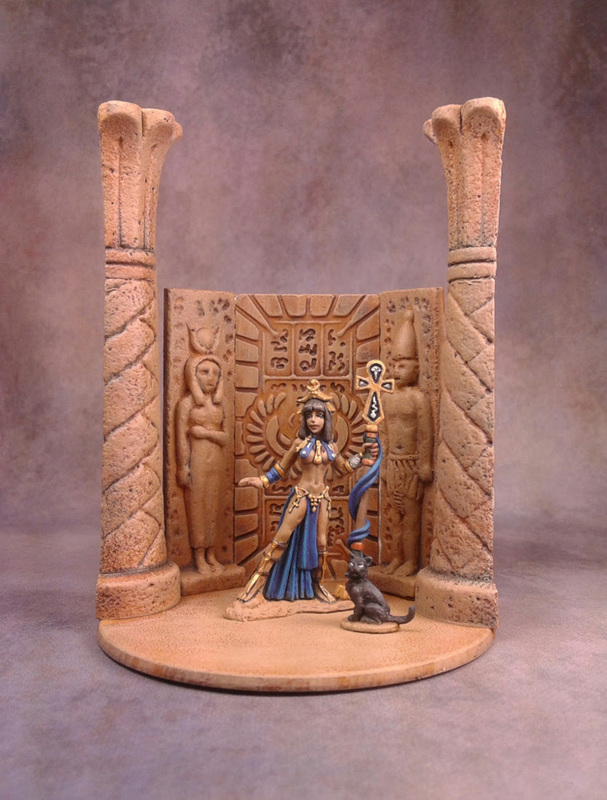 I like to use my miniatures (at least in theory), so I probably won’t be making dioramas with any regularity. The road sign is from the exit that you take to get to Reaper HQ in Denton, TX. I decided to enter a diorama for ReaperCon and have been making excellent progress. 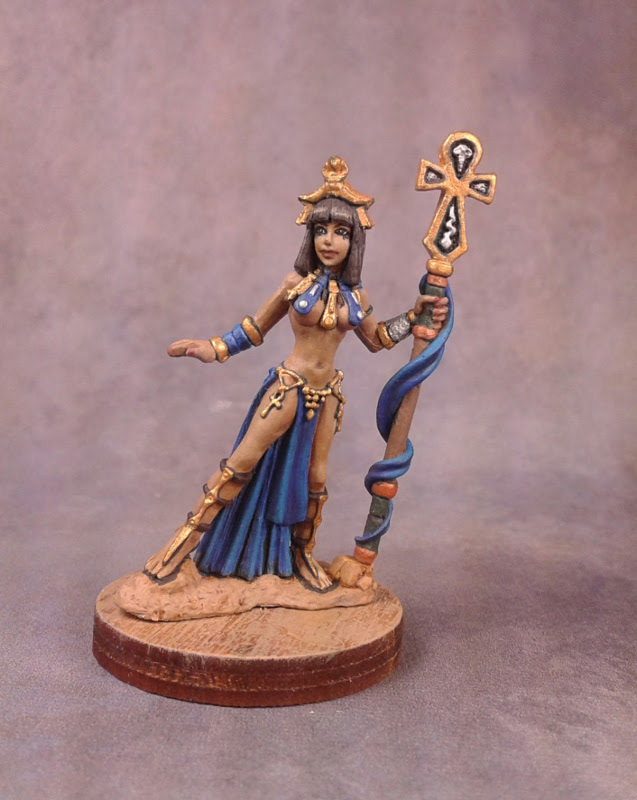 I’m using the miniatures from Victoria Miniatures that I painted up a while back, plus some resin scenery from Secret Weapon Miniatures and Itar’s workshop. The base is a jar candle lid. The road is sandpaper and the roadside is a mixture of model railroad ballast, grass tufts, static grass and dried rooibos tea. 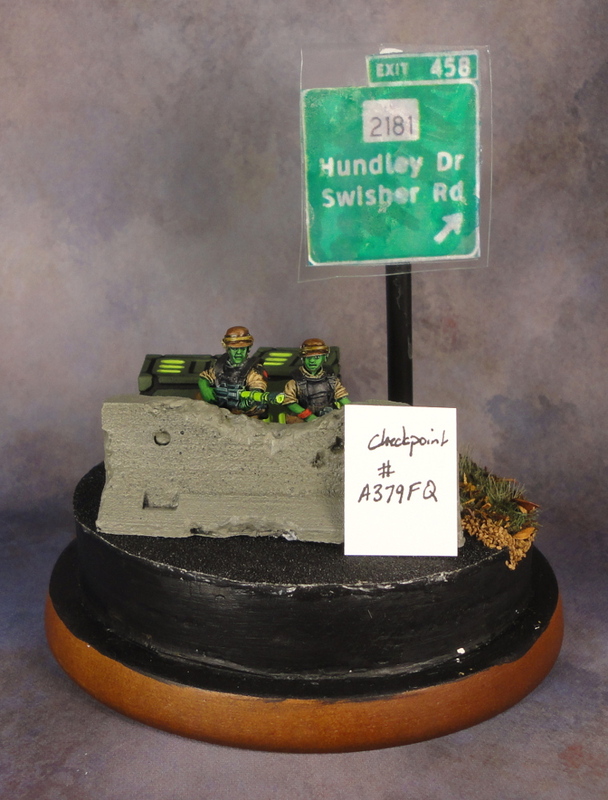 I may need to redo the road sign (and it needs to be mounted properly), and I’ll need to make a better “checkpoint” sign. 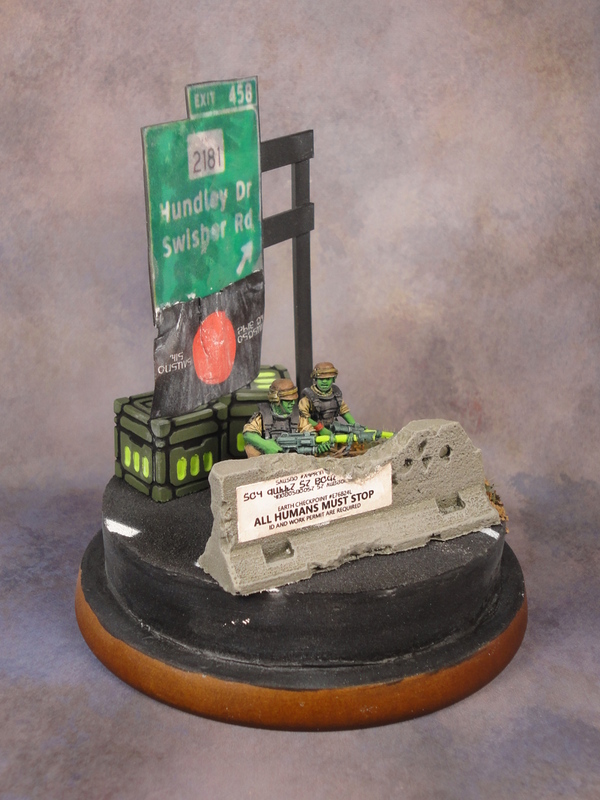 I may find something for the soldiers to stand on as well – there’s not quite enough of them showing behind the jersey barrier.